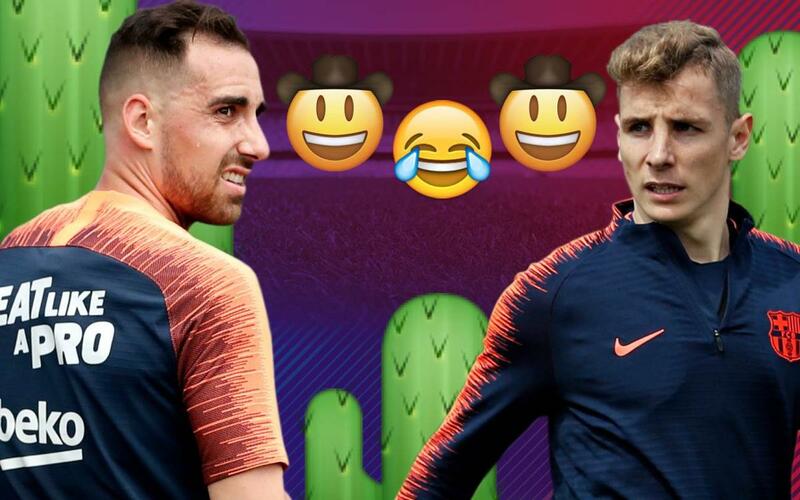 Lucas Digne and Paco Alcácer had fun juggling with the ball during training. Both players showed off their great technique, a quality that is habitual for members of the first team and to the dynamics of a training session for Ernesto Valverde’s men. The two then played the famous game of “rock, paper, scissors" amidst the laughter of their peers. The following video shows the great atmosphere that exists at Barça, where players are happy both inside the dressing room and out on the pitch. Who wins? Find out!